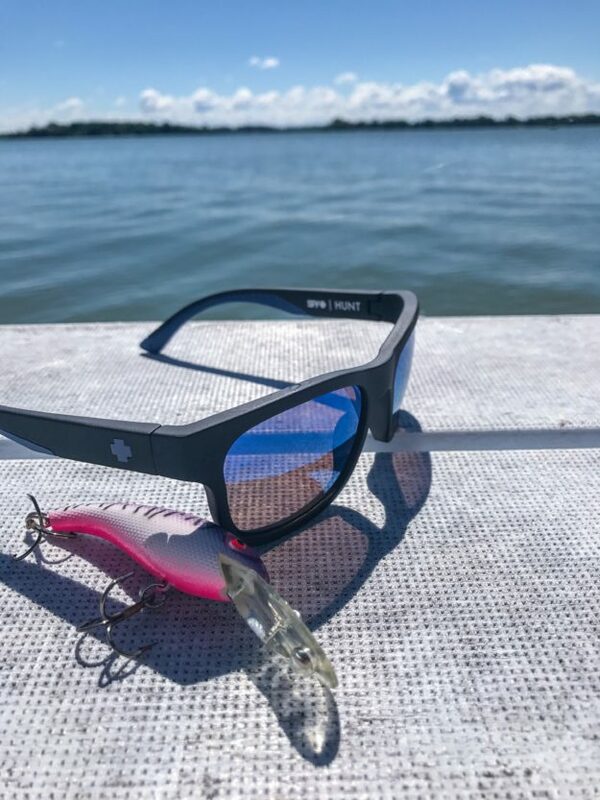 Whether you’re out on the water searching for a big muskie or climbing a giant rock face looking for a mountain goat, you need to protect your eyes. There’s probably nothing more valuable to you while you’re hunting or fishing than your eyesight and having a pair of shades that keep your vision sharp and your sight protected is vital. 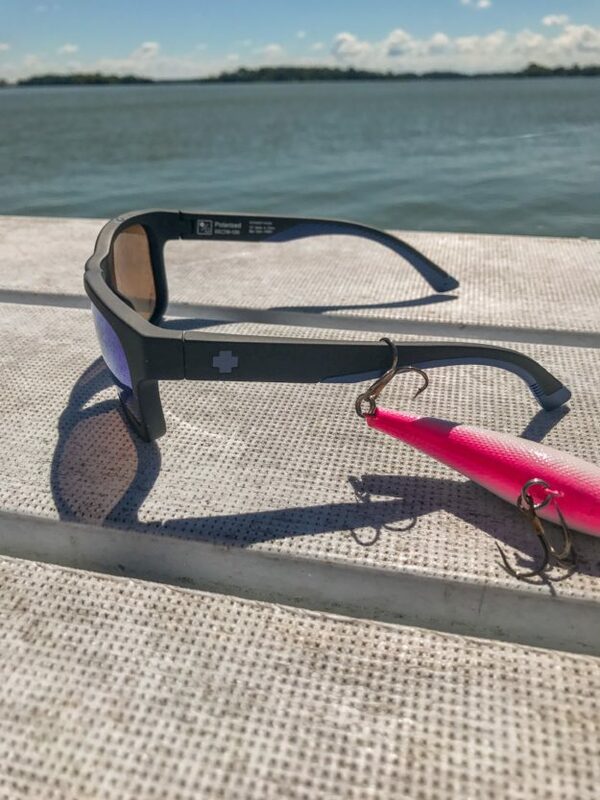 Spy Optics recently launched a new pair of sunglasses that are built for outdoor enthusiasts and will give you everything you need to get more done outside. Check out the full Spy Optics Hunt Sunglasses Review. Spy optics has some of the best sunglasses for fishing, hunting and hiking available. As with any of the Spy Optics sunglasses products, you will never have to sacrifice style for substance. These glasses are modern looking and really fit well on your face so that they not only look good but won’t fall off. The glasses are a flat front and come with with grips that are fused to the glasses, which means that they wont fall off if they get wet, which is a huge bonus for me. When you’re outside, sweat can be an issue. Spy managed to build a glass that not only covers your entire eye face, but also gives you space to breathe. Hunting, fishing, hiking and climbing causes you to move a lot and the glasses were constructed to stay on your face without weighing you down. The frames are very light and are stress-resistant Grilamid. To the non-scientific wearer this means that they bend and don’t break easily. My favorite thing about Spy Optics sunglasses are the Happy Lenses. The polarization on SPY’s glasses are second to none and make seeing fish in the water very easy. You can get a full range of lens and frame colors with the SPY Hunt sunglasses including the reflective Spectra options, Polarized lenses and Realtree Decoy colors. The Spy Optics Hunt sunglasses start at $110 and are available on the Spy Optics website. You can purchase those here. Check out other great Spy Optics sunglasses reviews.